Scientists in Southampton are beginning a new study to shed light on the role of the immune system in Alzheimer’s disease, thanks to a grant of £28,656 from Alzheimer’s Research UK, the UK’s leading dementia research charity. Researchers at the University of Southampton will investigate how immune cells that usually help protect against disease can become overactive and cause damage. Led by Prof Hugh Perry, the two-year pilot project will see scientists investigate immune cells called microglia, which are found in the brain and are activated when a person becomes ill to help fight infection. Previous research has shown that people with Alzheimer’s disease have more microglia in the brain than healthy people, and that these cells are already partially activated or ‘primed’ by the disease. When people with Alzheimer’s develop common infections, such as a chest infection, they tend to deteriorate faster. The researchers in Southampton believe this is because infections in other parts of the body trigger these extra, primed immune cells in the brain to become overactive, leading to tissue damage and causing the disease to get worse. 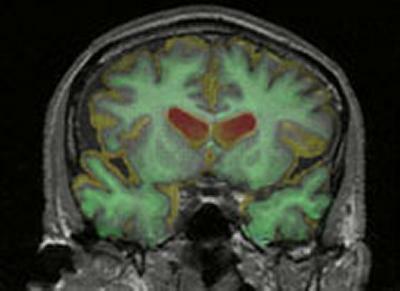 By studying brain samples from people who died with Alzheimer’s and comparing them to those from healthy people, the researchers want to find out where these extra microglia come from, and what underlying mechanisms cause this increase in cells. It’s hoped that by understanding how these immune cells multiply, the scientists could turn up new clues to how they could be regulated and kept in check. The project will rely on the use of tissue from brain donation schemes, which allow members of the public to sign up to donate their brains for research after their death. These ‘brain banks’ are a crucial resource for scientists seeking to understand Alzheimer’s disease and other causes of dementia. Prof Perry says: “Although the immune system is crucial for our protection, we think the extra immune cells in people with Alzheimer’s disease may be too much of a good thing, creating a vicious cycle that could in fact accelerate people’s decline. If we can unpick what causes this increase in the number of immune cells in the brain, we could begin to look for ways to break that cycle and restore the balance. Dr Simon Ridley, Head of Research at Alzheimer’s Research UK, adds: “We’re delighted to fund this promising new study, which should shed more light on some of the critical processes involved in Alzheimer’s disease. The better our understanding of the mechanisms that drive the disease, the better our chances of developing treatments that could make a real difference to people’s lives.